Images captured from Pro- and Anti-I-186 ads. Top: Dave Perkins, vice chairman of Orvis. Bottom: State lawmakers Jim Keane (Butte-D) and Duane Ankney (Colstrip-R) opposing I-186. 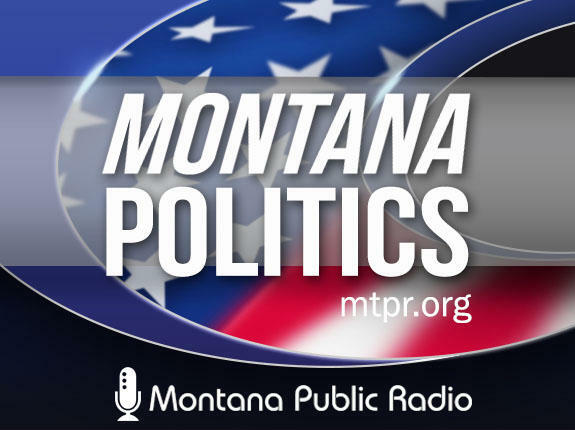 The latest campaign finance reports show that a lot of the $3 million that’s flowed into the race for Montana’s I-186 ballot measure so far has come from organizations and individuals with out of state and international ties. 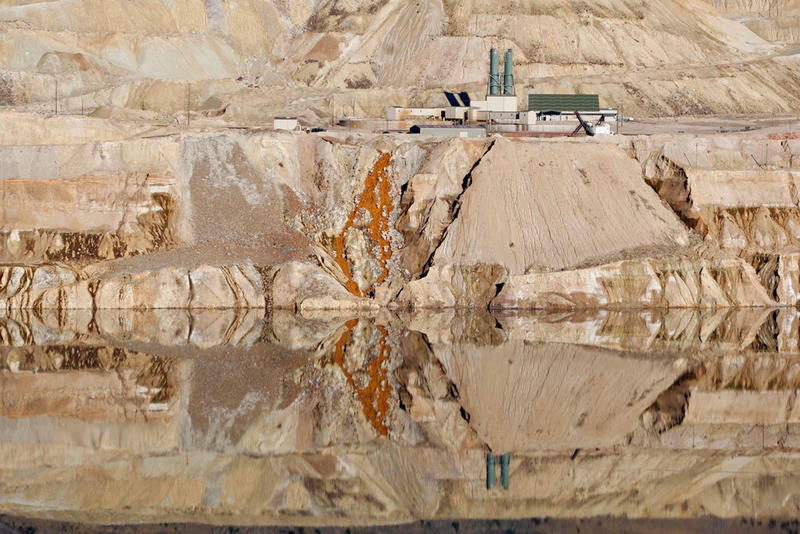 The issue proposes new regulations on hardrock mines in the name of protecting water quality. Groups on both sides of it accuse their opponents of trying to influence voters with money coming from people who either don’t live in Montana or don’t support the state’s economy and culture. 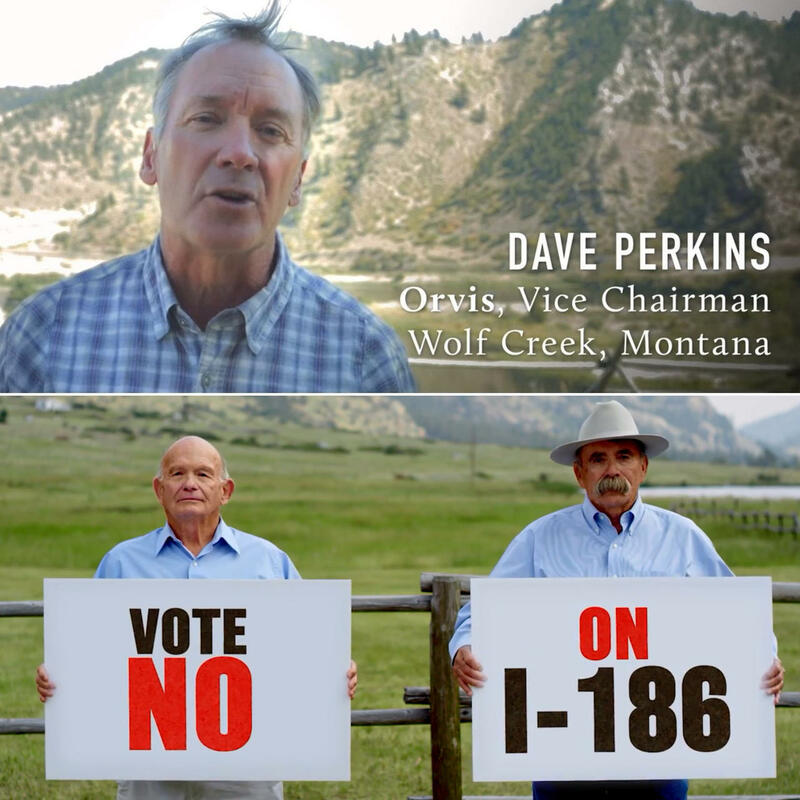 Perkins lives in Montana, Orvis is based in Vermont. Perkins and other I-186 supporters say it would enact more reasonable state mining regulations, requiring new hardrock mines to file plans showing they won’t require perpetual treatment of mine wastewater. The Montana Department of Environmental Quality could deny permits to those without such plans. Montana’s mining industry says that would devastate future mining here. 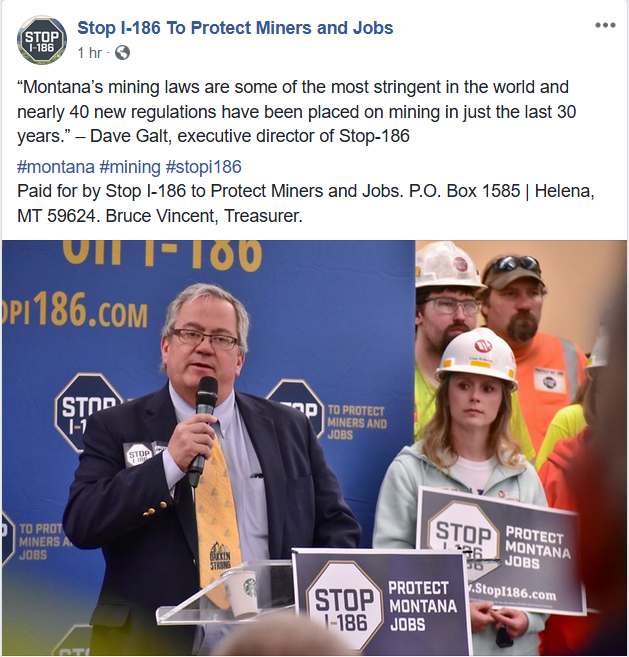 Butte Democrat Jim Keane and Colstrip Republican Duane Ankney were recently featured in this ad run by the group opposing I-186. I-186 opponents attack its backers as out of staters who don’t have to make a living in Montana. Tammy Johnson is the executive director of the Montana Mining Association. She says it’s a false choice to either protect Montana waterways or keep mining. Johnson says both can happen. The list of I-186 backers does include the CEO of NBC Universal from New York, as well as an Episcopal priest from Minnesota, and the owner of a lawn and garden equipment business in Texas. Several hundred individual donors in 41 states, Guam and the District of Columbia have sent money to support the initiative. The National Institute on Money in State Politics says it’s unusual for so many individual donors to contribute to a campaign for one. 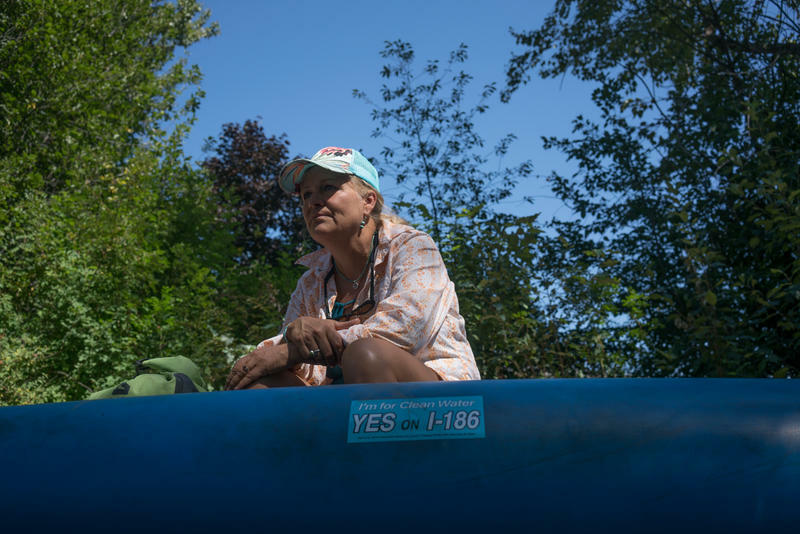 I-186’s main backer, Virginia-based Trout Unlimited, has more than a dozen chapters in Montana, but has been reaching out to all its members for support. “Trout Unlimited has some 300,000 members and supporters all over the country," says Tom Reed, regional director for Trout Unlimited’s Northwest Sportsmen's Conservation Project. He’s also the vice chair of the campaign supporting I-186. He’s referring to international mining corporations, including one in South Africa and another in Toronto, Canada, which own mines operating in Montana. Trout Unlimited tapped into a national fundraising base, Reed says, because the fly-fishing community sees Montana as the Mecca for their sport, which needs clean and healthy waterways that could be threatened by mining waste. 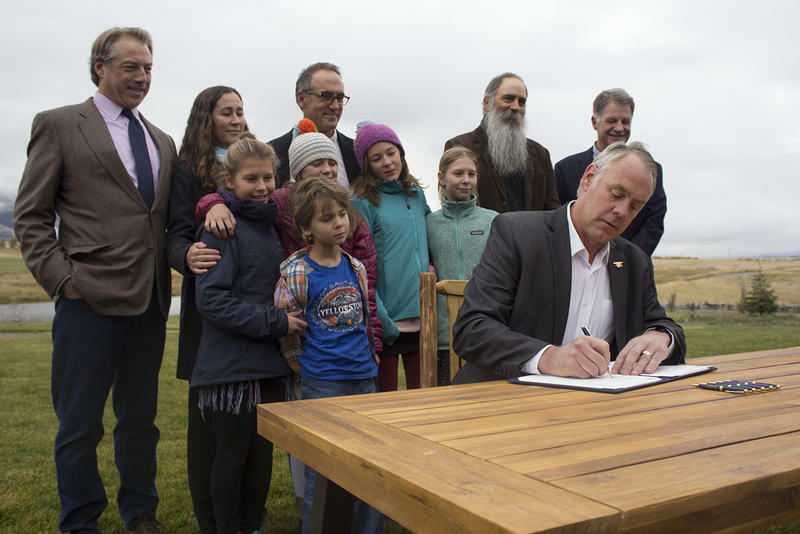 The other big backers of I-186 are the Washington, D.C.-based river conservation group American Rivers, the Montana Environmental Information Center and the Montana Public Interest Research Group. A majority of the individuals supporting the initiative listed out-of-state address associated with their contributions. Altogether the supporters of I-186 have raised roughly a million dollars. That compares to about $2 for I-186 opponents. Most of that money is coming from mining companies donating to the Montana Mining Association. “Well, mining is very much an international business. But for this initiative, each one of these companies are bonafide Montana companies,” Johnson says. Federal law does not allow foreign corporations or citizens of other countries to donate to elections or ballot issues in the U.S. and Johnson says no foreign money is going to oppose I-186. The Montana Mining Association is asking the state Supreme Court to void a proposed ballot initiative that would require state officials to deny mining permits unless proposed mines would not require perpetual environmental cleanup. A bill to prevent mining north of Yellowstone National Park cleared a key congressional hurdle Wednesday. 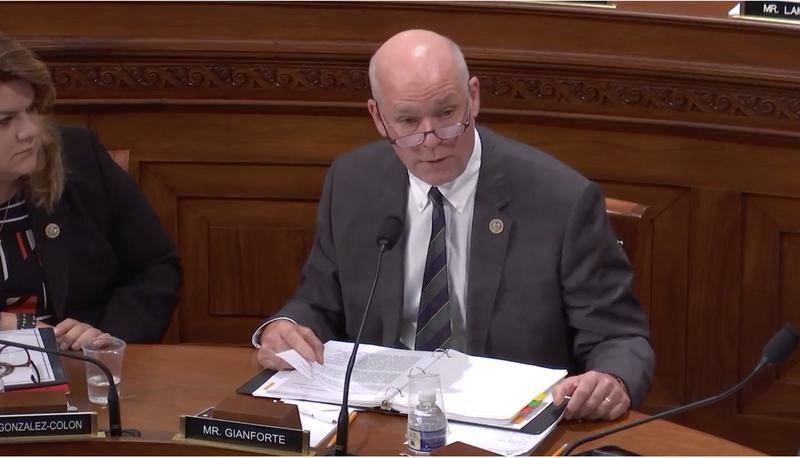 Montana Congressman Greg Gianforte’s ‘Yellowstone Gateway Protection Act’ permanently withdraws mineral rights and bans mining on 30-thousand acres of public lands east of the Paradise Valley.